After 1 round of qualifying, the intensity is starting to rise here at SRS Raceway. Team Orion has TQ’d 3 of the 4 modified classes here at the ROAR U.S. Nationals. 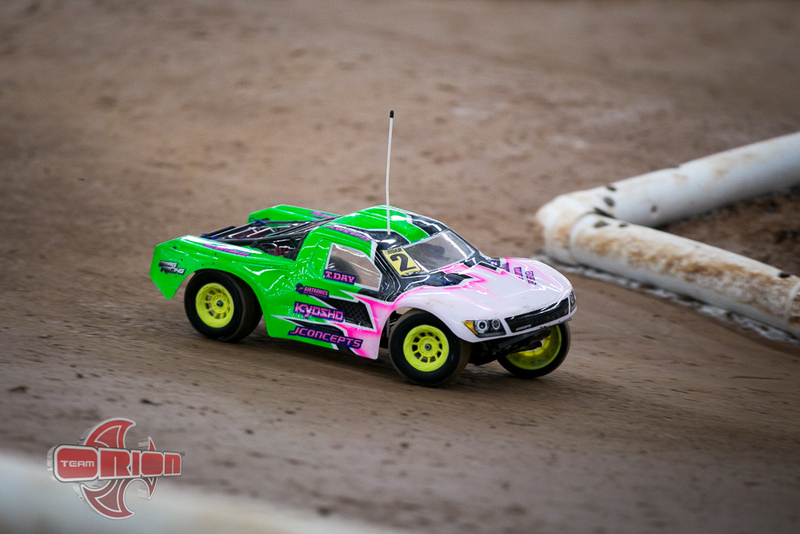 Displaying precision and speed, Team Associated/Orion’s Ryan Cavalieri was able to top qualifying the modified truck and 4wd buggy class over the deep field of talented drivers. 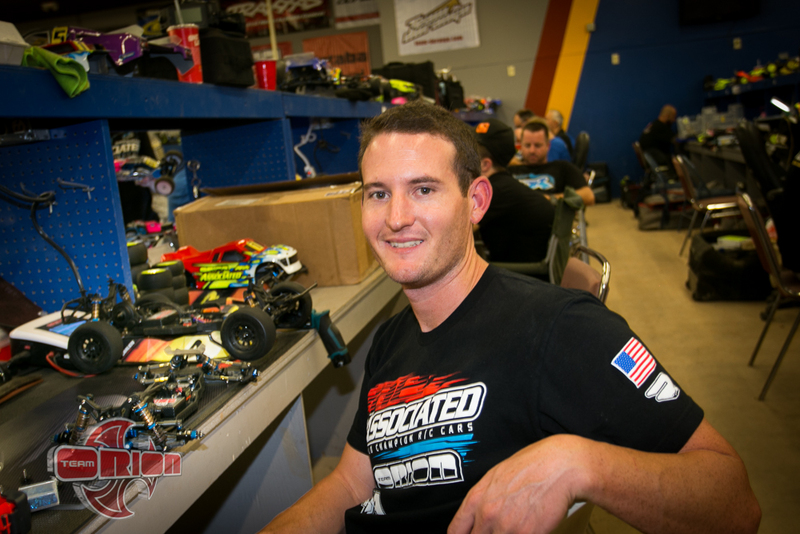 Taking modified SC in style, AE/JConcepts’ Spencer Rivkin put his new SC5M ahead of the field and in front of short course master, Ryan Maifield who finished 2nd for the round followed by Cavalieri. The qualifying round for 2wd modified was an intense battle between the top 5 drivers. After 6 minutes of intense battles, it would be TLR/Orion’s Dakotah Phend rising to the top and earning is first TQ of the day by 1.5 seconds over Cavalieri. Finishing 3rd for round 1 was HB/Orion’s Ty Tessman with his new HB 2wd buggy. The stock classes were just as intense as the modified classes. 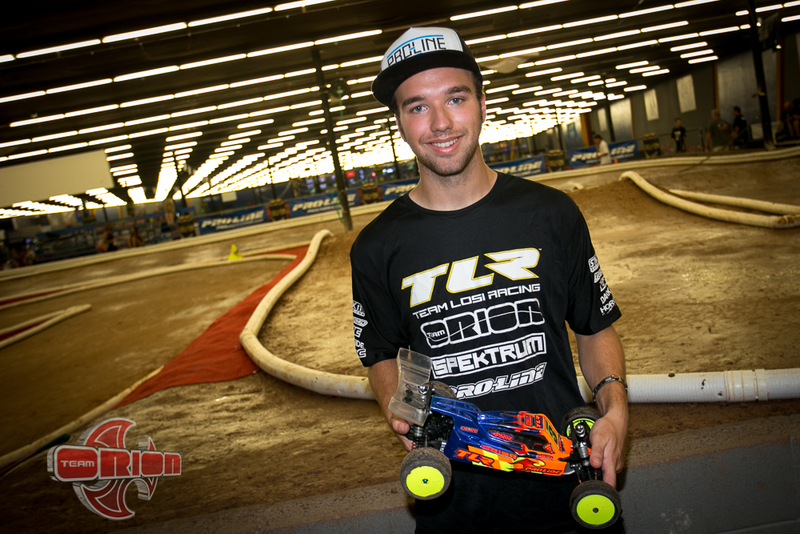 A new rising star has emerged on the scene with Kyosho/Orion’s Tanner day taking double TQ in stock SC and 2wd buggy. In stock truck, it would be top seed Alexander Wight putting down the fastest time and taking TQ for round 1. Round 2 is just underway so stay tuned! Tags: 2015, 2wdmod, associated, dakotah phend, kyosho, nationals, off road, orion, roar, ryan cavalieri, ryan maifield, team, tlr, ty tessman. Bookmark the permalink.